The Ryobi 12V Drill/Driver Kit features an ultra-compact design for drilling and driving in tight spaces. Its lightweight design reduces fatigue during extended use, and the drill is loaded with great features including a 3/8-inch keyless chuck, 22-position clutch and an LED work light for increased visibility. A battery, charger and double ended bit are included. Reduce the risk of injury from kickback or bind-up situations with Bosch Active Response Technology featured in the new the Bosch DDH181X 18V Brute-Tough 1/2 in. Lithium-ion Drill/Driver. The innovative on-board acceleration sensors automatically shut the tool down when a potentially dangerous torque reaction occurs. The Bosch engineered 4-pole motor provides 708 in/lbs of torque, making it powerful and efficient for drilling a broad range of high torque bits such as spades and augers. As with all Bosch Best Built Cordless tools, advanced electronic motor and cell protection help prevent overheating and overloading for extended tool life and runtime. A built-in LED light illuminates the workspace for optimal visibility. The new Hilti SF 2H-A Cordless Hammer Drill/Driver is the perfect balance between big performance and compact size for easy access in confined work spaces. This combination hammer drill/driver provides versatility to tackle multiple applications such as drilling small diameter anchor holes in hollow concrete block or brick and installing masonry screw anchors to drilling and fastening into wood base materials. The Milwaukee Compact Driver Drill has been built to withstand tough jobsite conditions. Longer run-time and fewer battery changes maintain momentum while you're working and prevent unscheduled breaks. This compact drill offers 400 in-lbs. of torque while only weighing four pounds. With added features including a battery fuel gauge and a built-in LED light for illumination of dark spots, this driver has everything the professional needs to get the job done right. 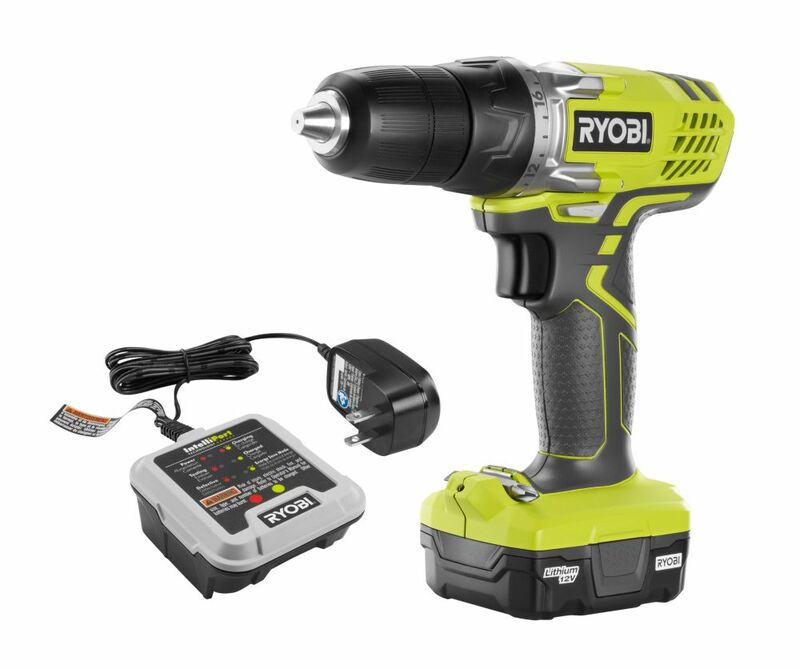 12V Cordless Lithium-Ion Drill/Driver Kit The Ryobi 12V Drill/Driver Kit features an ultra-compact design for drilling and driving in tight spaces. Its lightweight design reduces fatigue during extended use, and the drill is loaded with great features including a 3/8-inch keyless chuck, 22-position clutch and an LED work light for increased visibility. A battery, charger and double ended bit are included. 12V Cordless Lithium-Ion Drill/Driver Kit is rated 4.4 out of 5 by 414. Rated 4 out of 5 by HomeDepotCustomer from So far it works just fine.... So far it works just fine. Rated 5 out of 5 by Cool1 from The drill was perfect for my mother home, great... The drill was perfect for my mother home, great for small jobs. It works well. Rated 1 out of 5 by RC from Very cheap low powered drill.... Very cheap low powered drill.